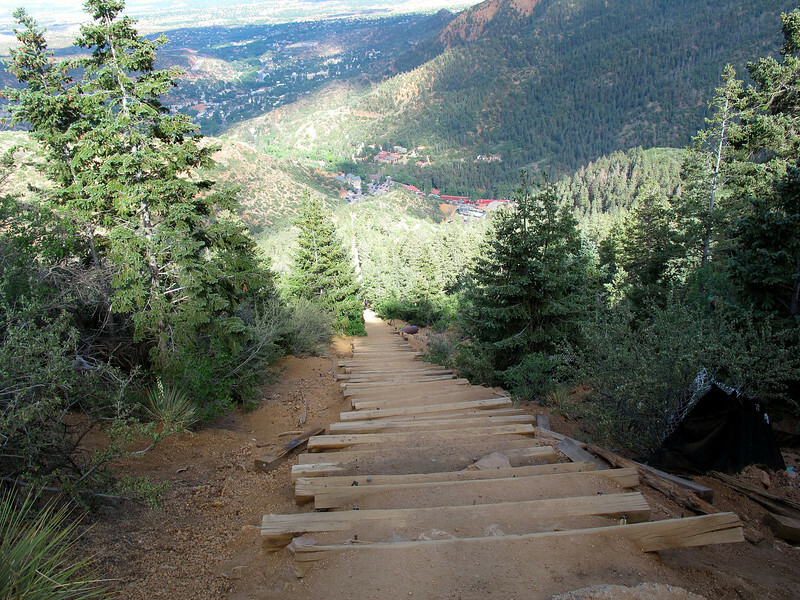 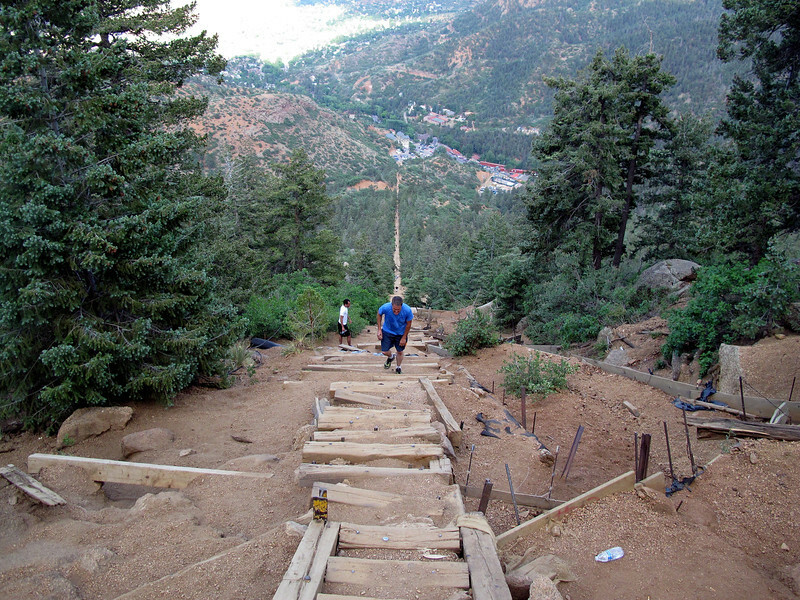 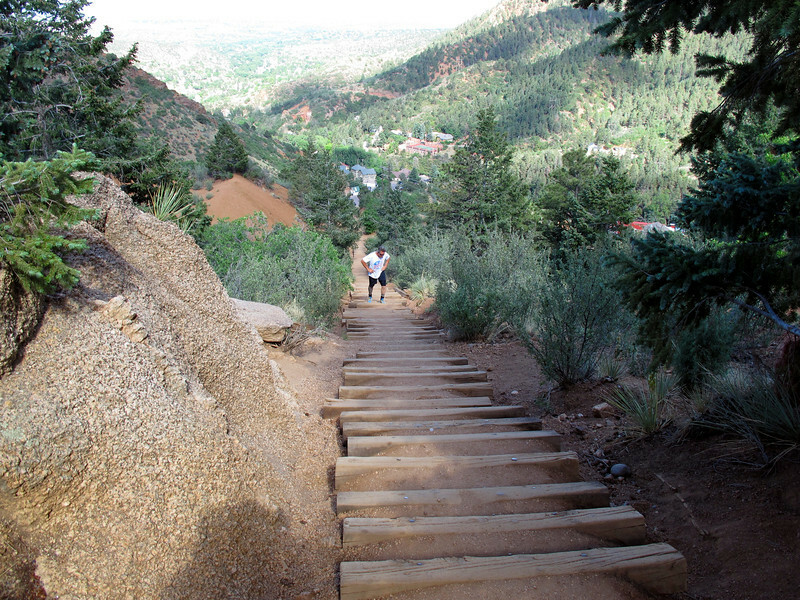 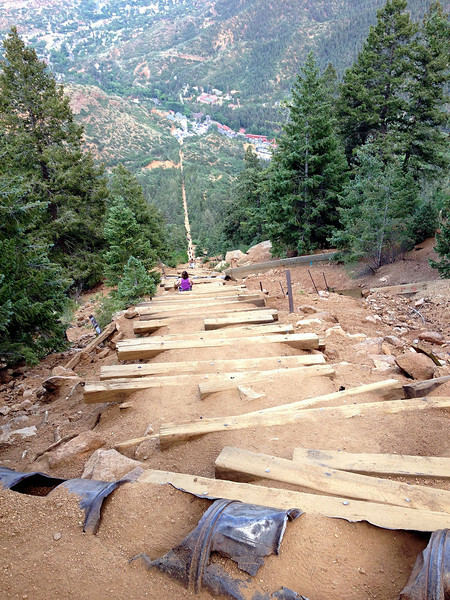 Manitou Springs Incline is one of the most unique and most popular trails in the area. 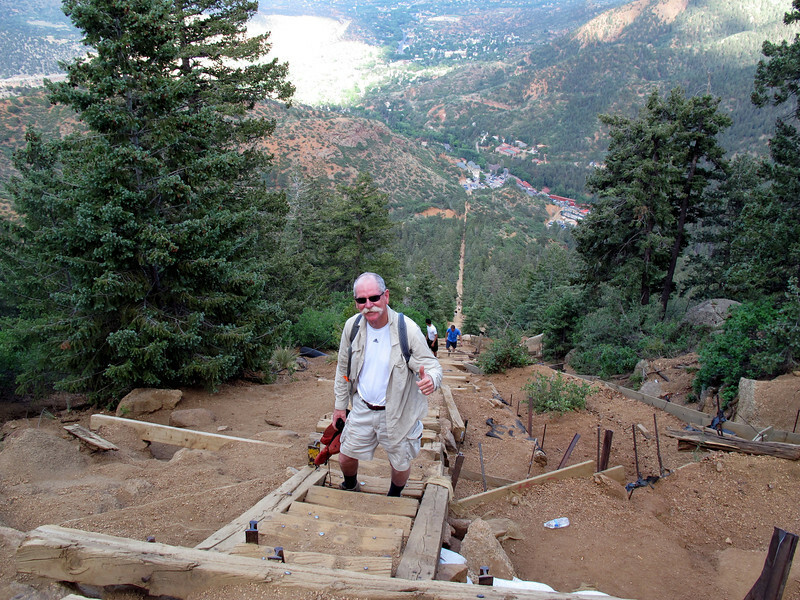 Originally this was a cable car that took tourists up the side of Rocky Mountain until it was closed in 1990. 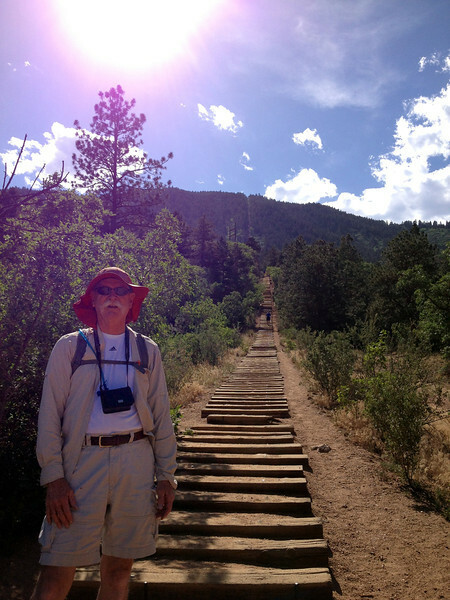 Since then the rails have been removed but the wooden ties remained to prevent erosion of the hill creating a steep trail that appears from the bottom as an endless stairway to heaven. 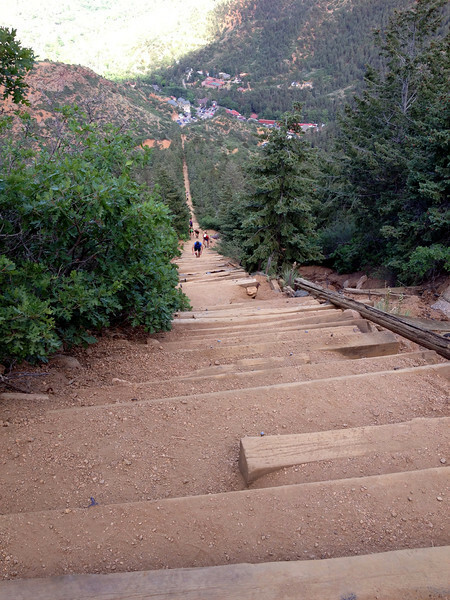 For many years it was illegal to climb the Incline even though thousands of people continued to do so. 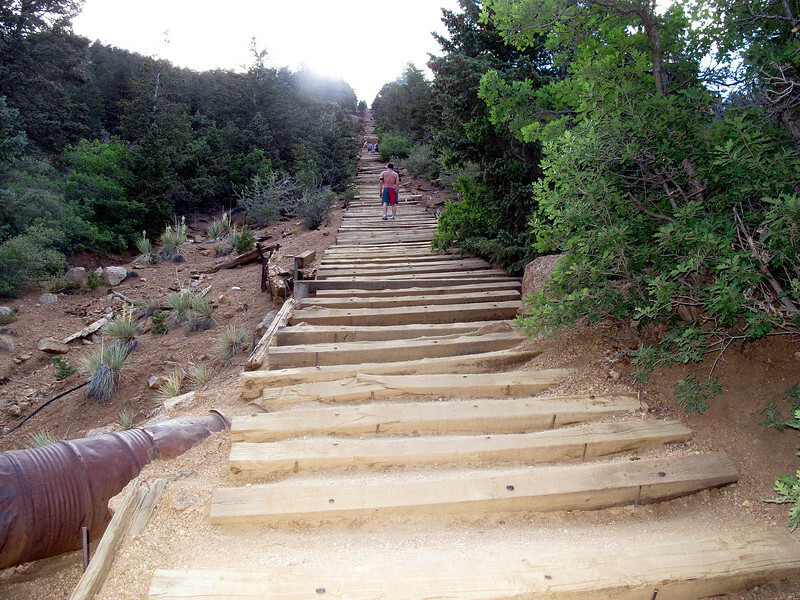 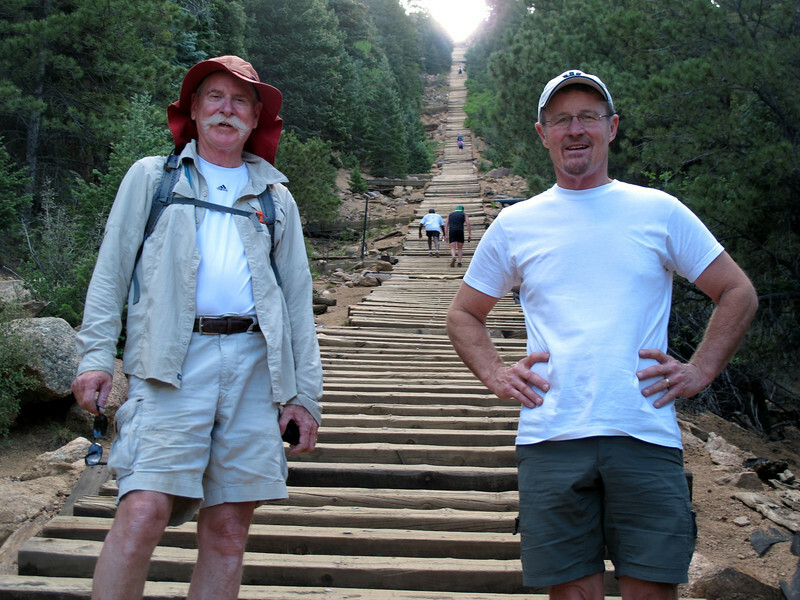 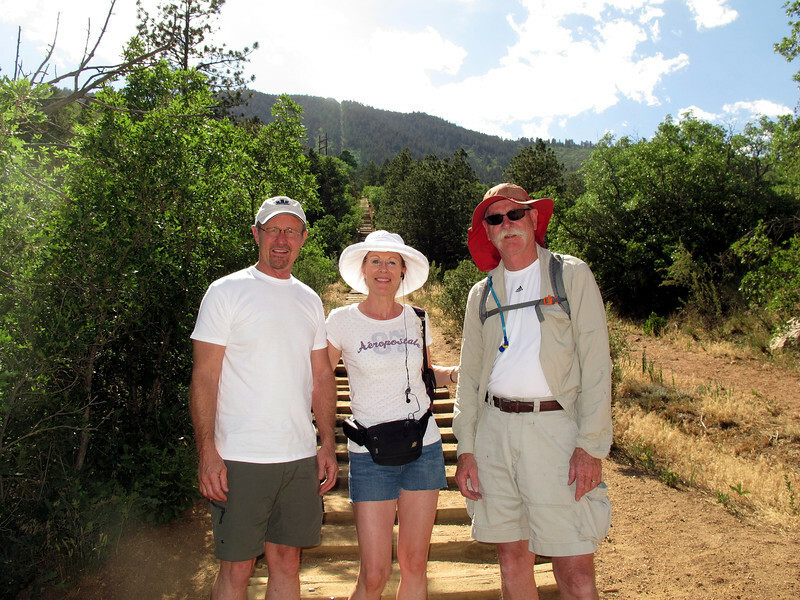 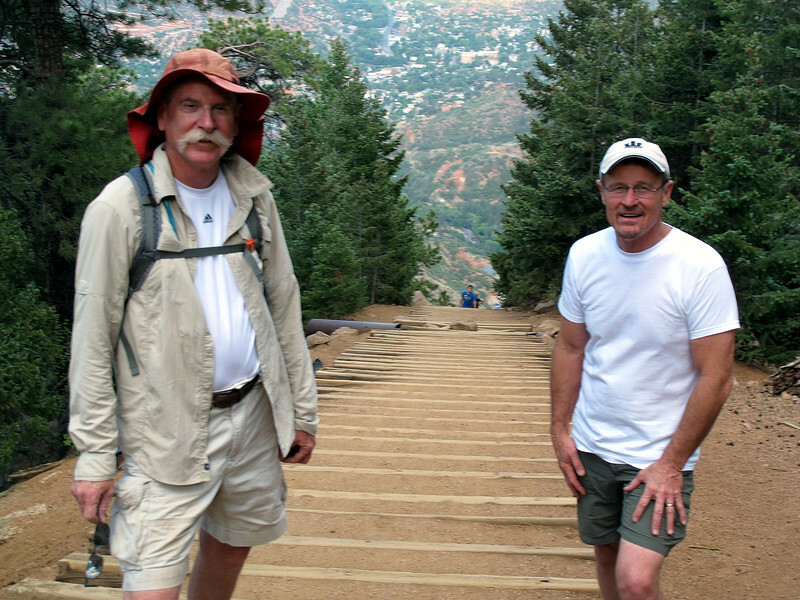 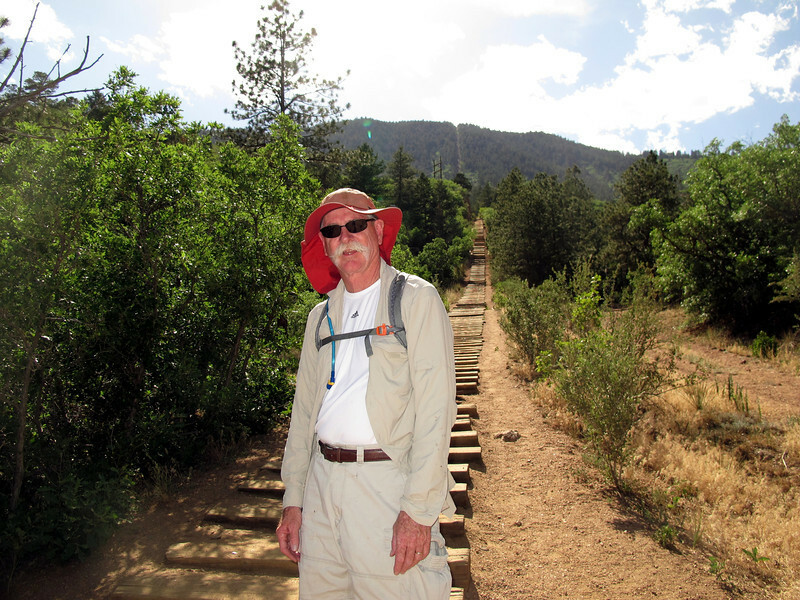 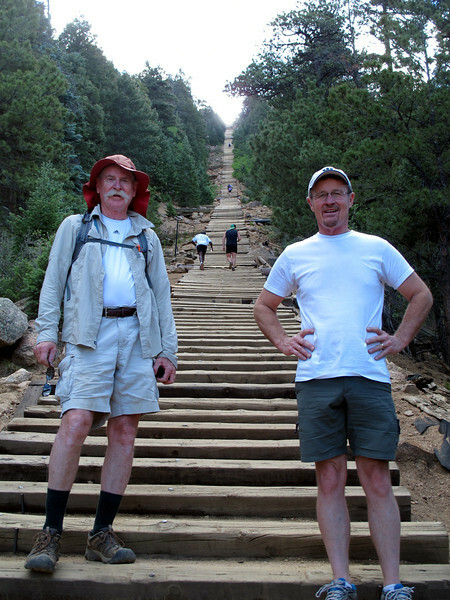 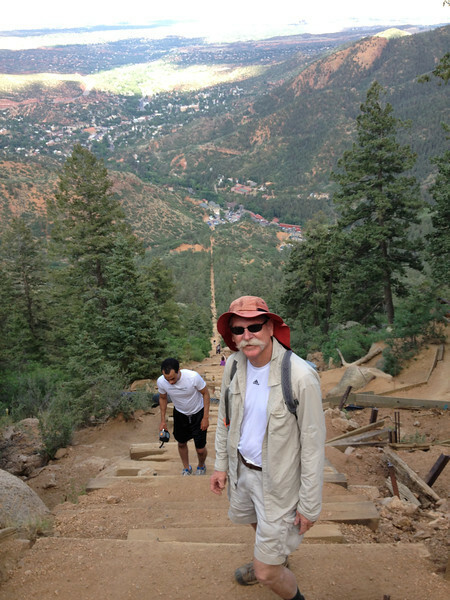 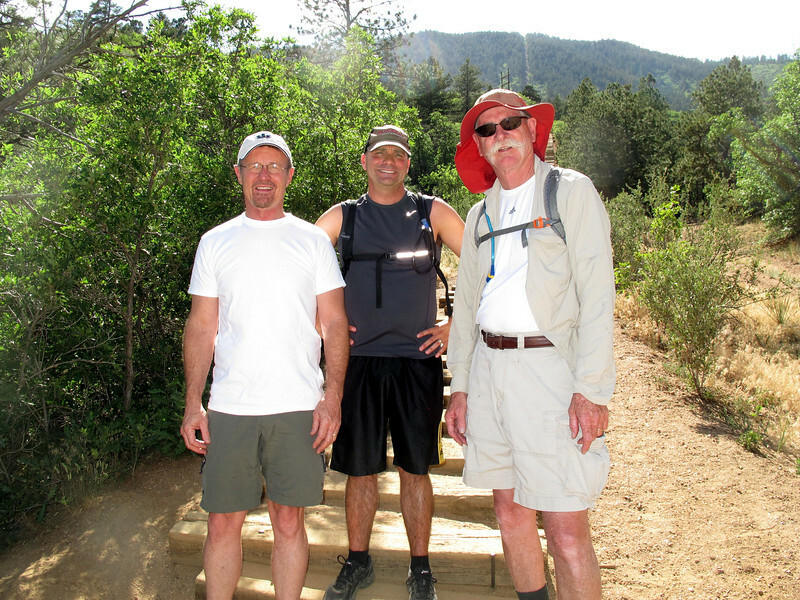 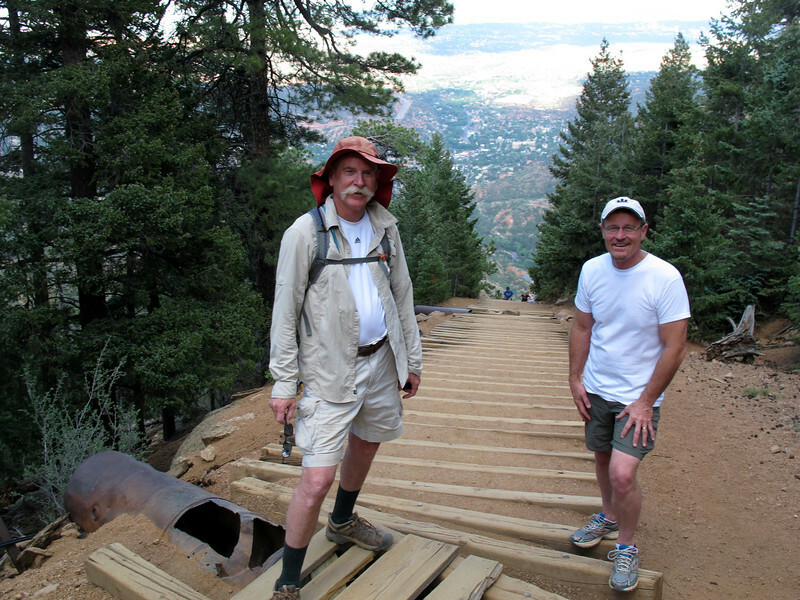 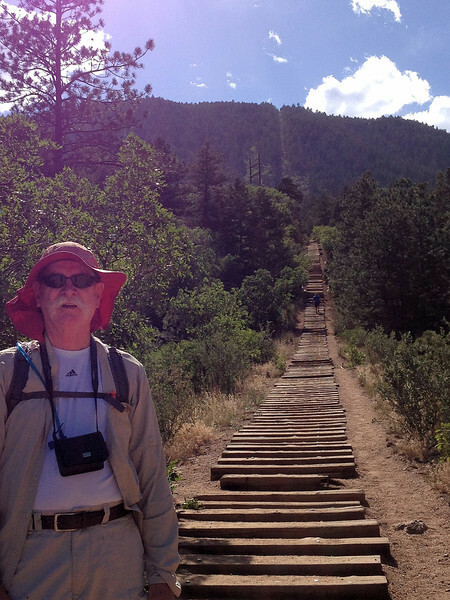 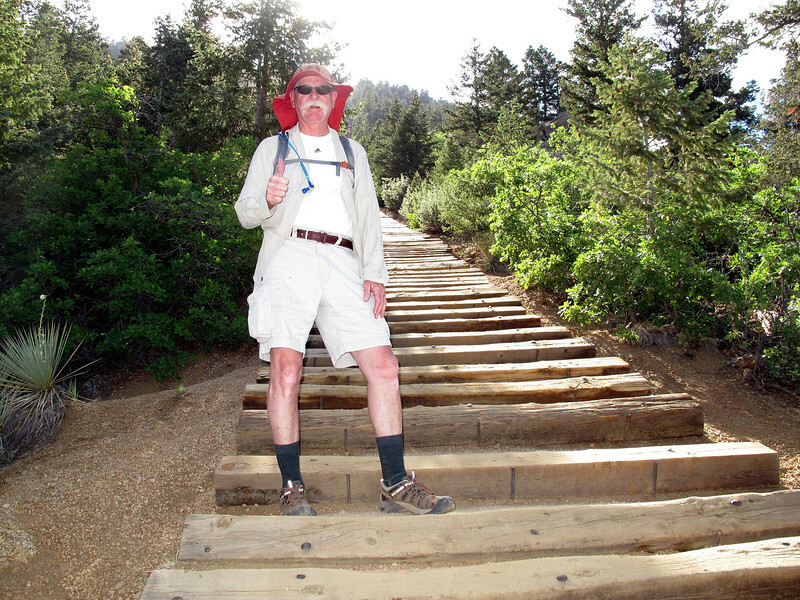 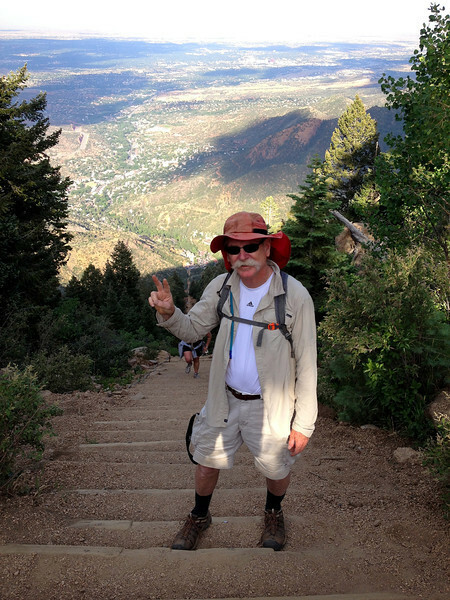 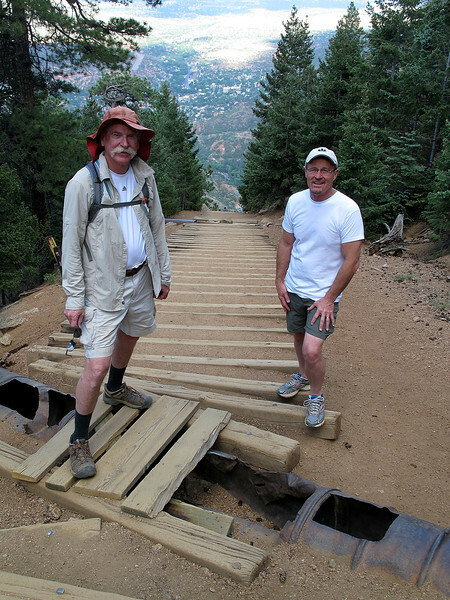 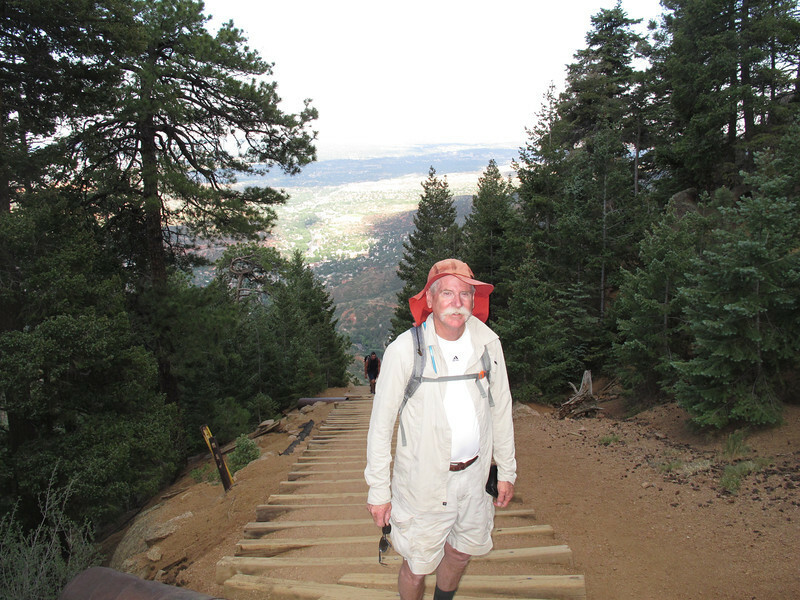 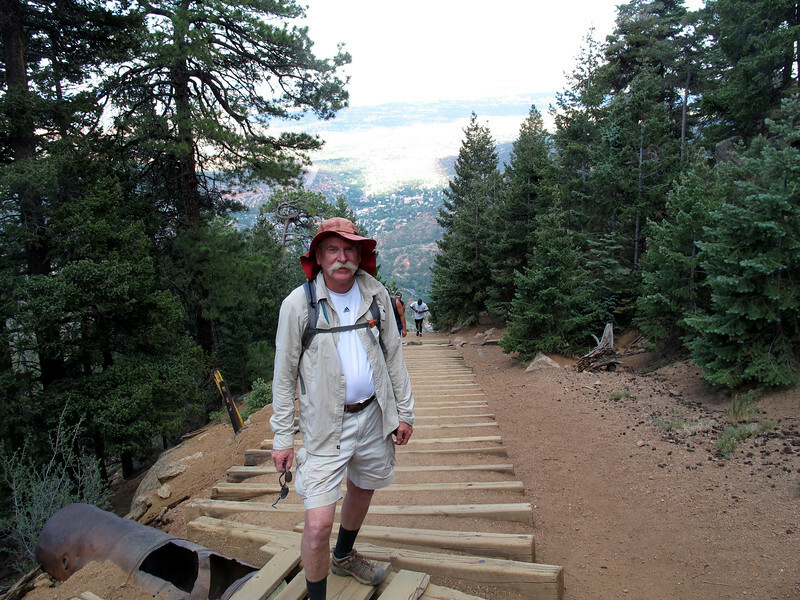 After a lengthy legal process hiking the Incline finally became legal on February 1st, 2013. 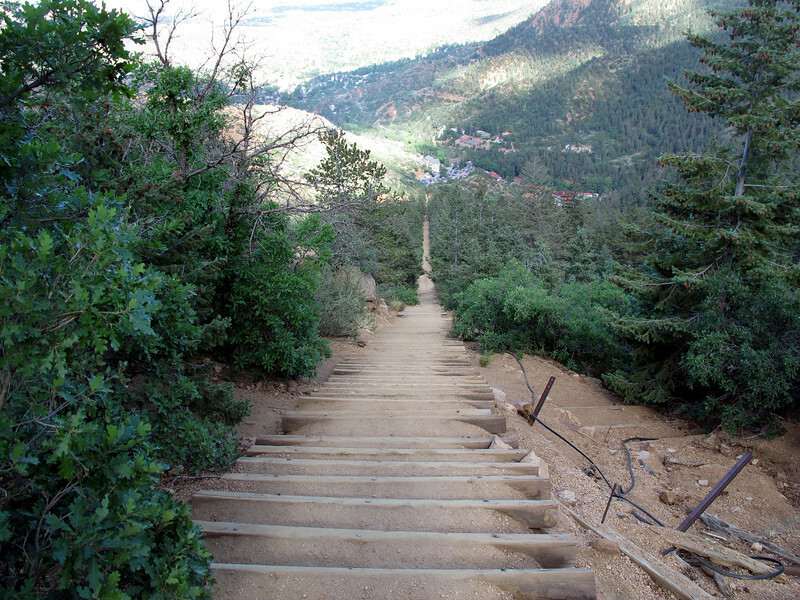 The Incline starts at the Cog Railway parking lot off the Ruxton avenue. 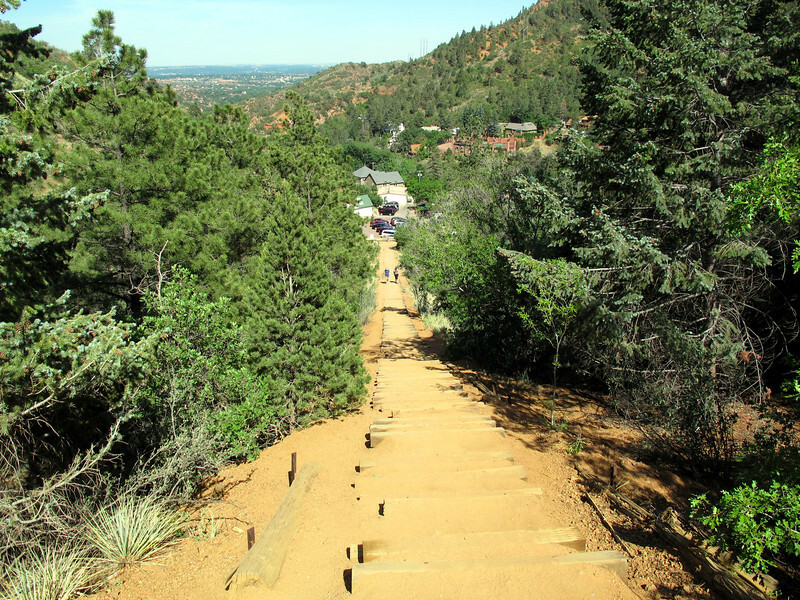 Hiking up is pretty straightforward since the Incline is a perfectly straight line up the hill at an average grade of 40%. 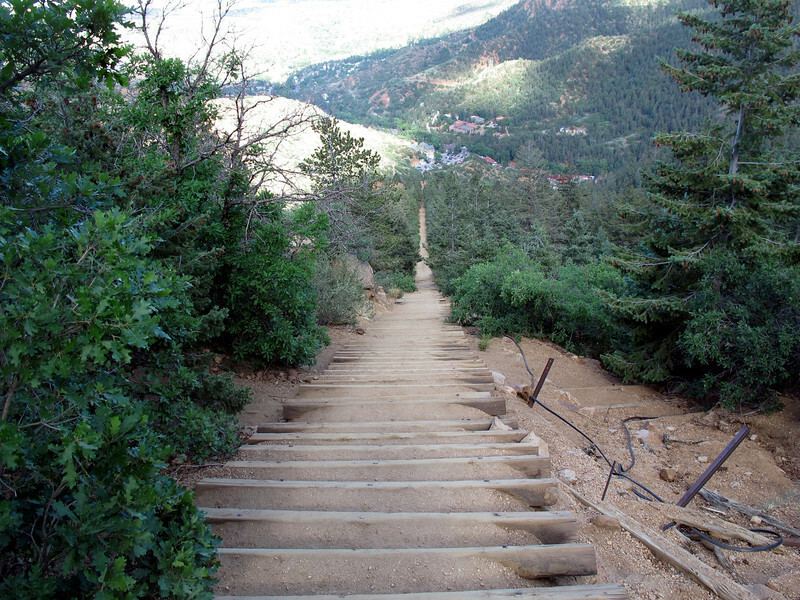 Even though it is only about one mile to the top this is definitely not an easy trail. 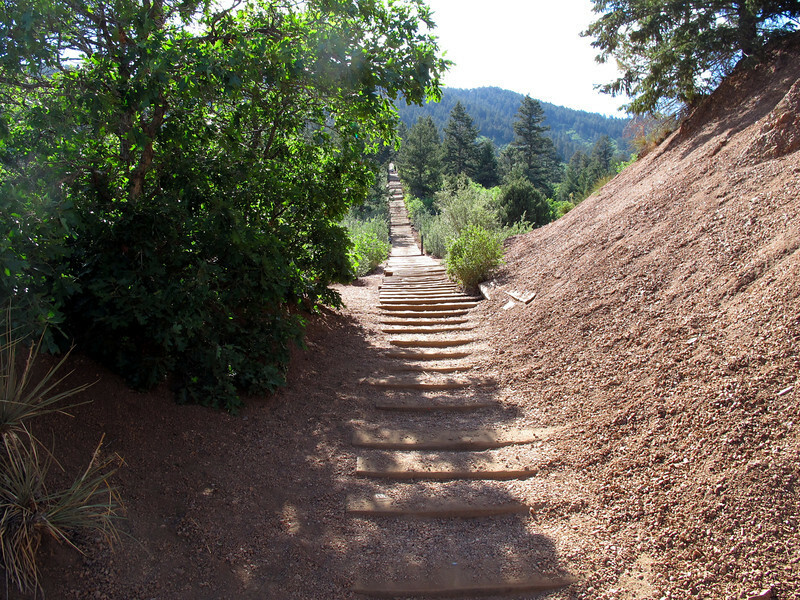 At about 0.6 miles you will arrive to the so called Bailout point. 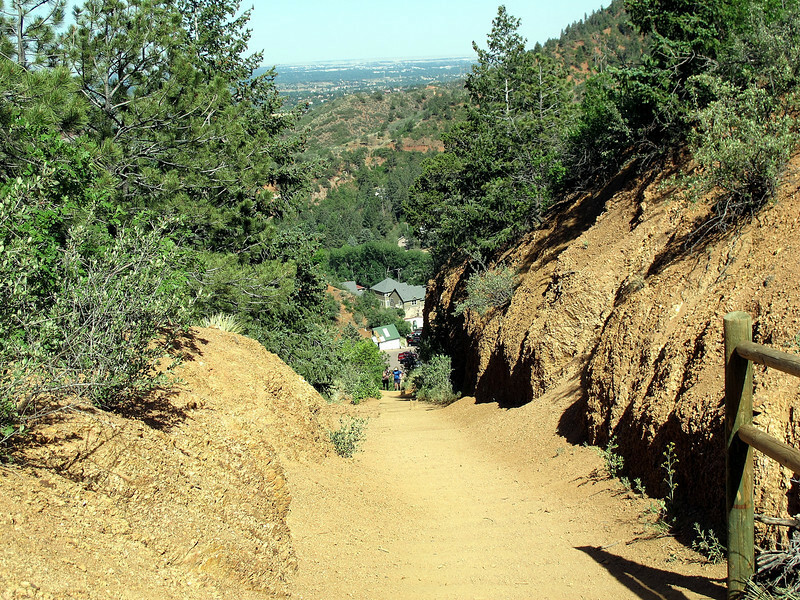 Here the Barr trail is passing the Incline by just a few yards and you can take it down if you don't feel like you can make it to the top. 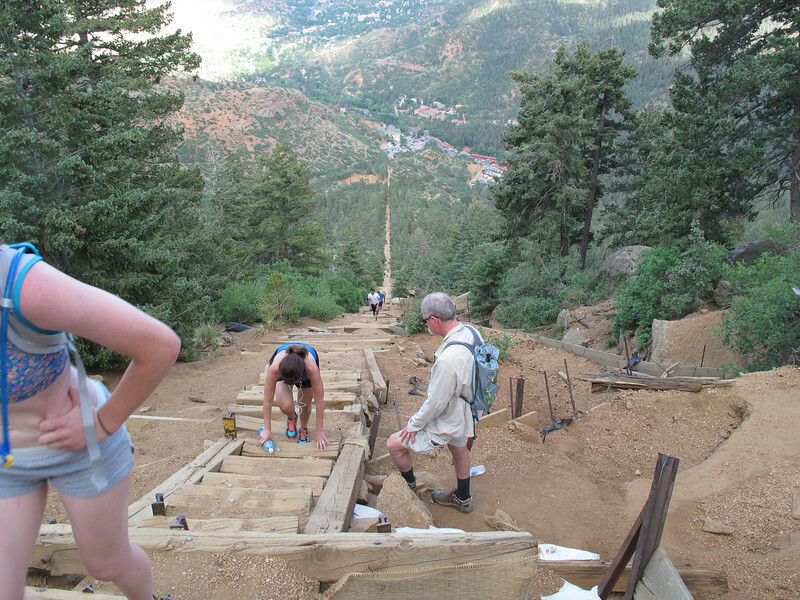 This section is also the steepest and most technical part of the Incline. 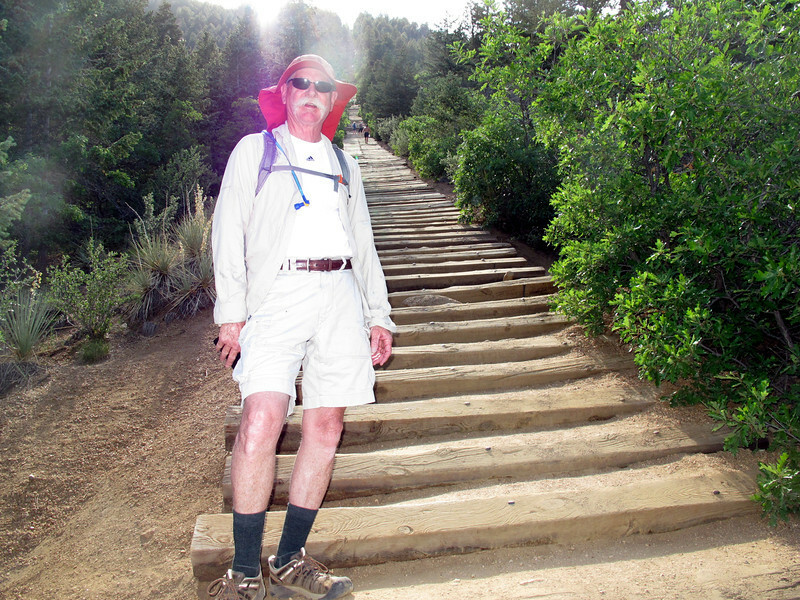 If you look up, the end seems near but this is only the false summit. 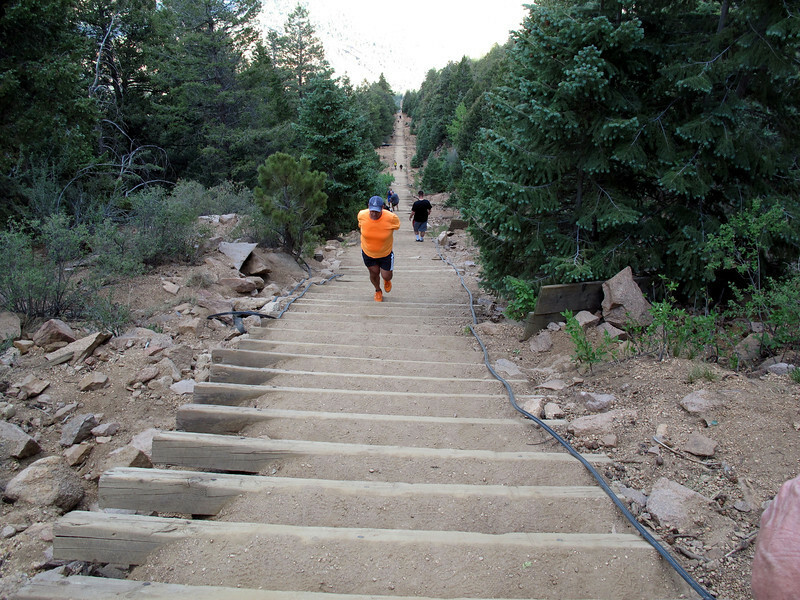 Fortunately, once you get over the hump you will see the finish is not too far ahead. 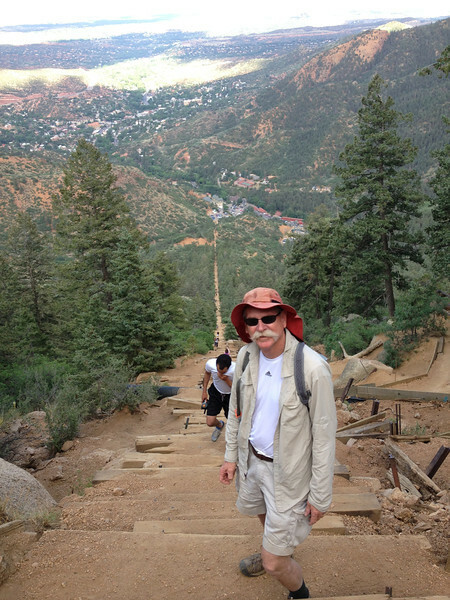 The views from the top and along the Incline are outstanding and well worth the effort. 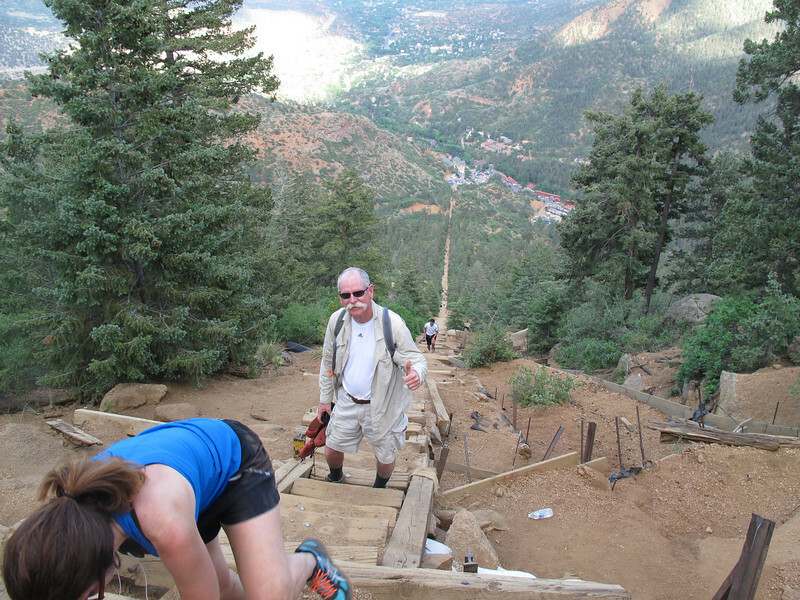 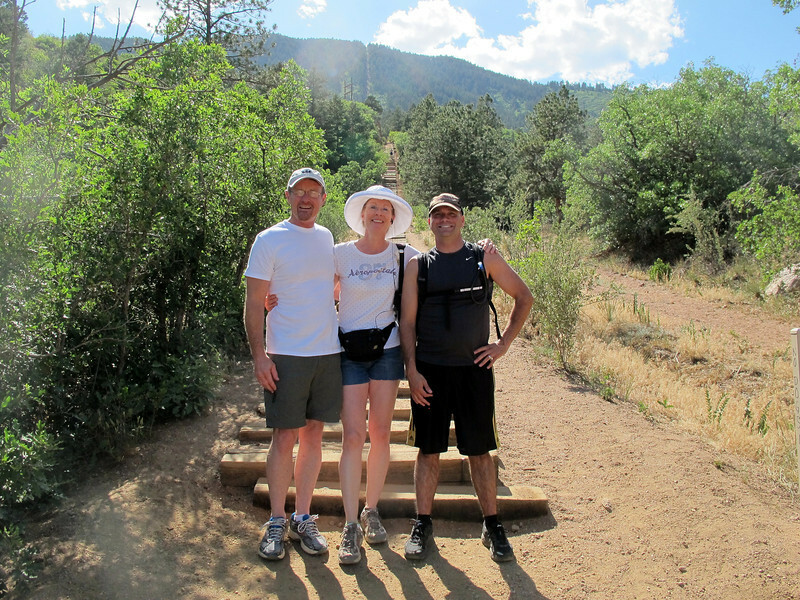 Most people chose to come down on Barr trail which is longer but also easier on your knees. 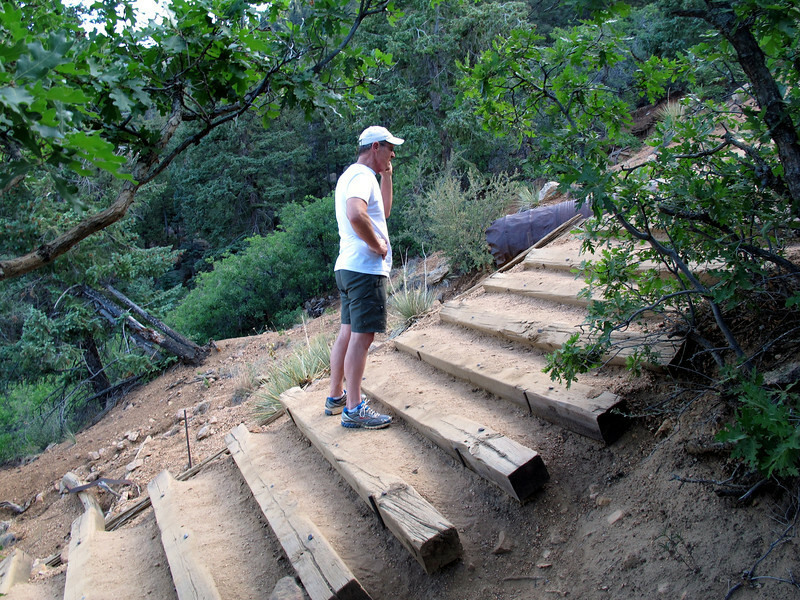 There are number of other trails that you can continue on from the top as well. 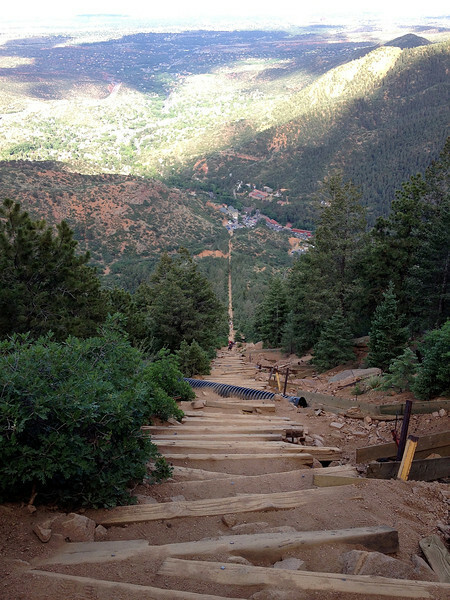 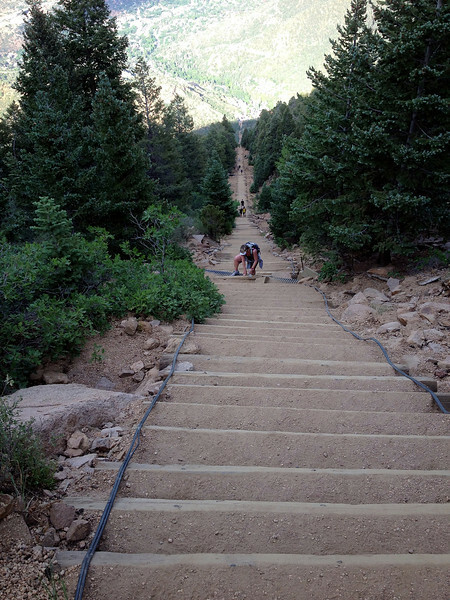 Length: 0.9 miles to the top of the Incline. 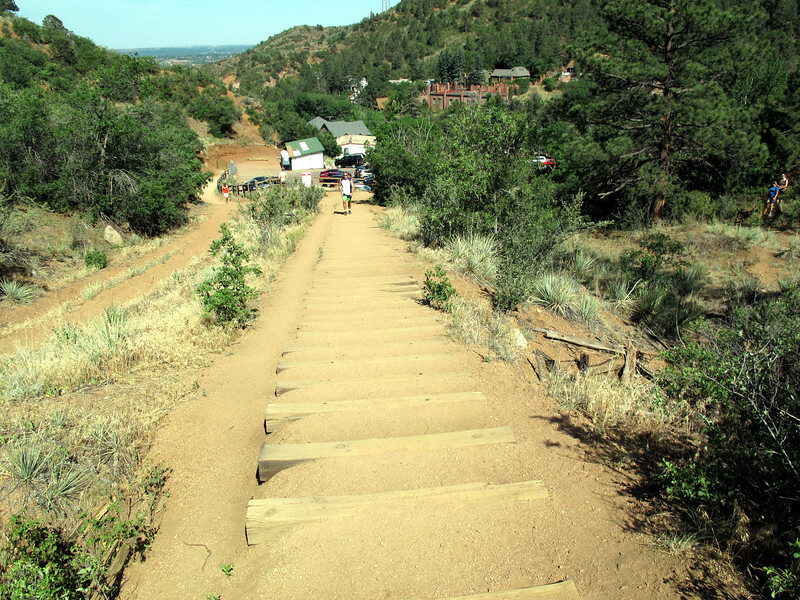 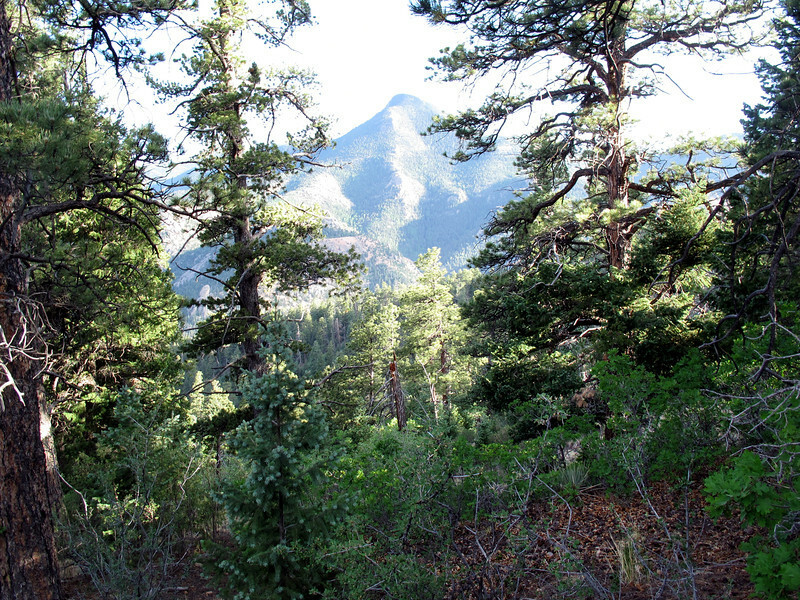 3.4 round trip with Barr Trail. 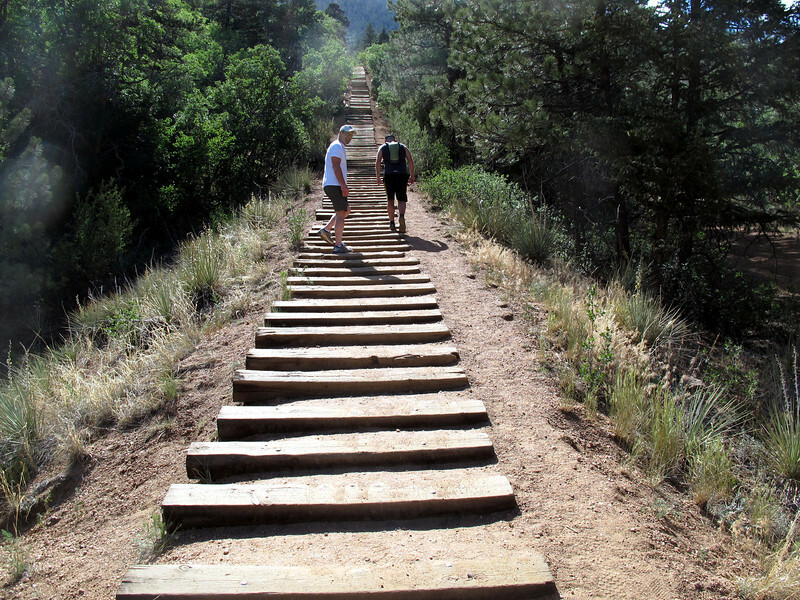 It's definately a brutal hike if you are not prepared for it. 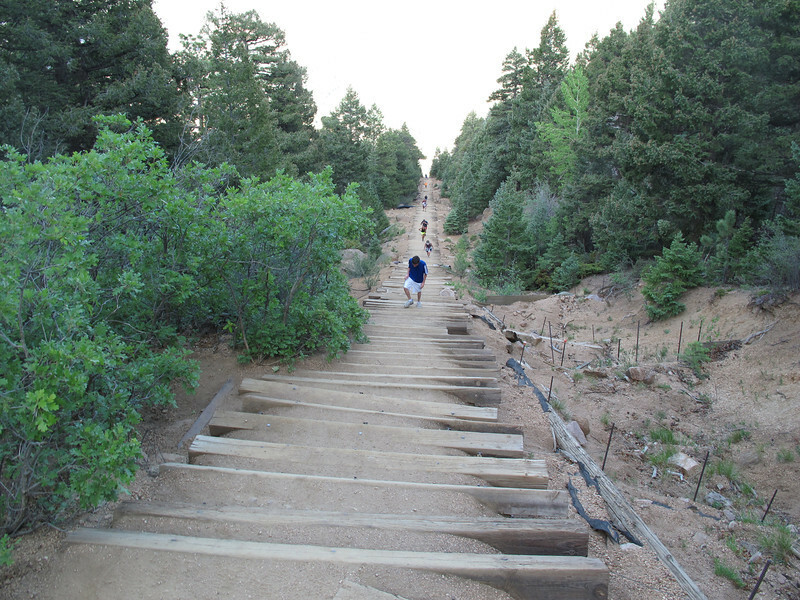 It was 95 degrees out when we started and took 2 hours to reach the top since it was my first time. 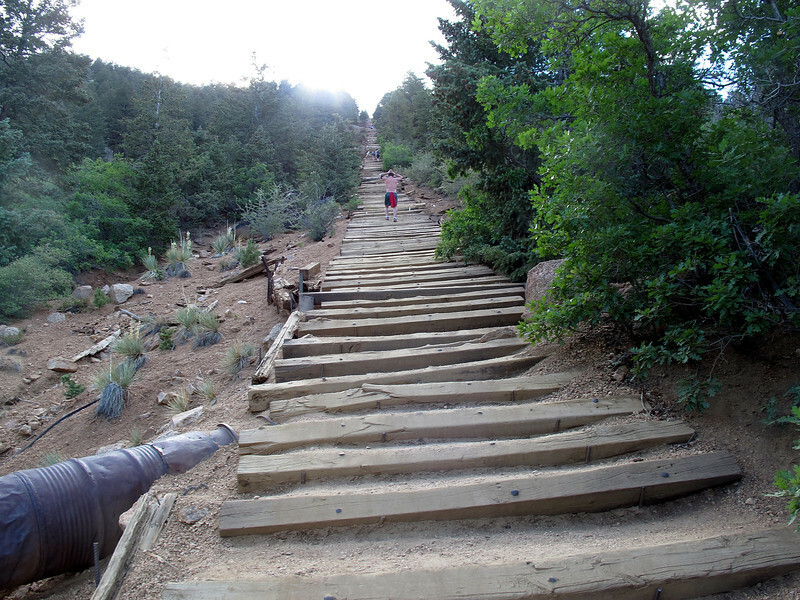 If you are going to do it bring lots of water and download the incline app to your smartphone.Definaely a cool app.